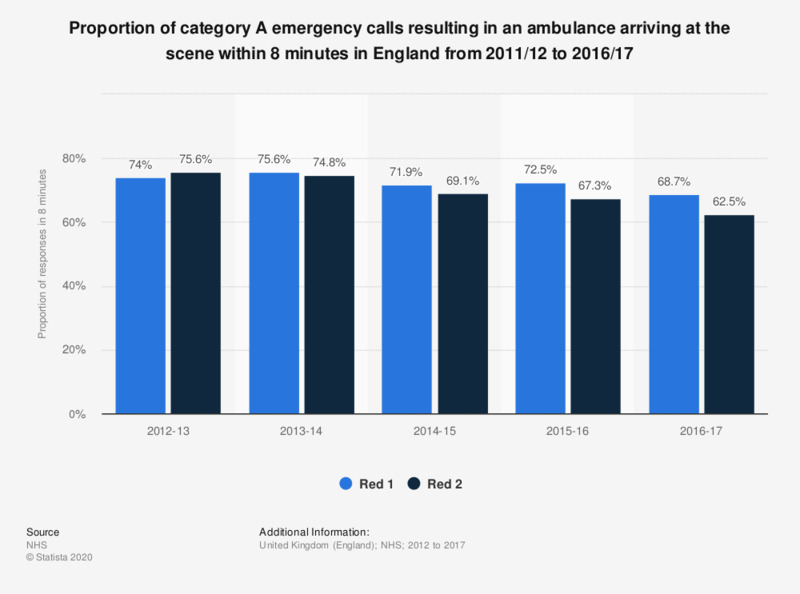 This statistic displays the proportion of category A emergency calls (red 1 and red 2) resulting in an ambulance arriving at the scene within 8 minutes in England from 2012/13 to 2016/17. In the period 2016/17, 68.7 percent of Red 1 calls were responded to within eight minutes, the lowest percentage for Red 1 calls in the provided time interval. Category A calls include Red 1 and Red 2 calls. Category A calls were split into Red 1 (most serious/time critical) and Red 2 (serious but less time critical).